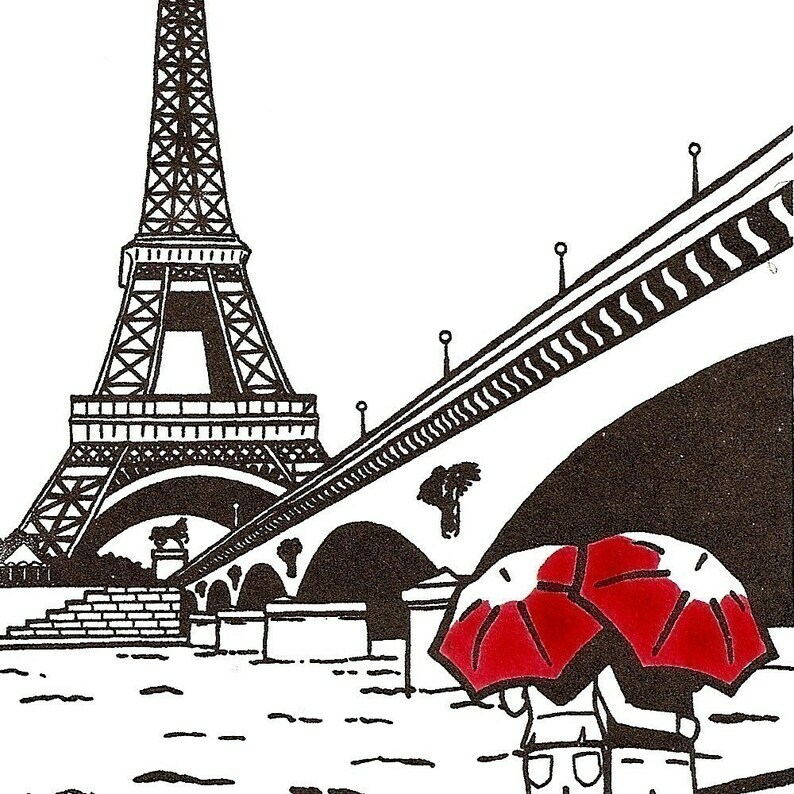 This original gocco screenprint shows a couple enjoying the view of the Eiffel Tower on the banks of the Seine River. This print is part of a limited edition of 300. The black is hand printed from an original illustration, and the red umbrellas are painted with watercolor (please allow for some minor variations since each one is individually printed and painted). Beautiful prints, shipped fast. We love them, thank you!